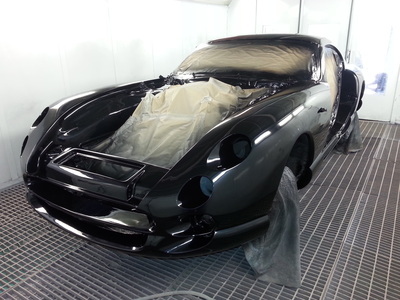 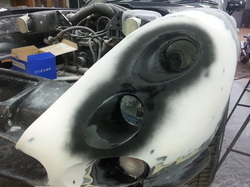 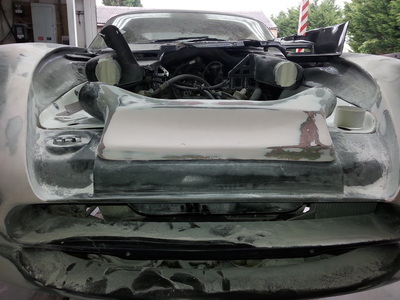 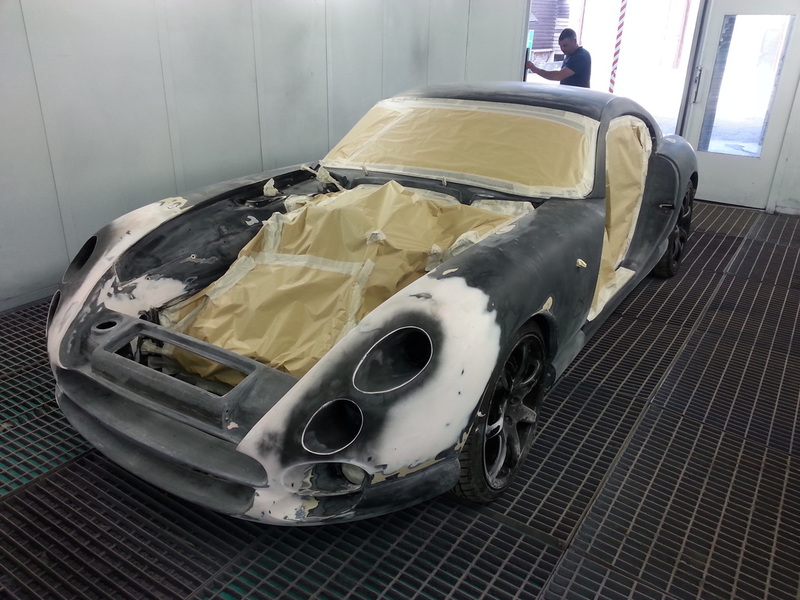 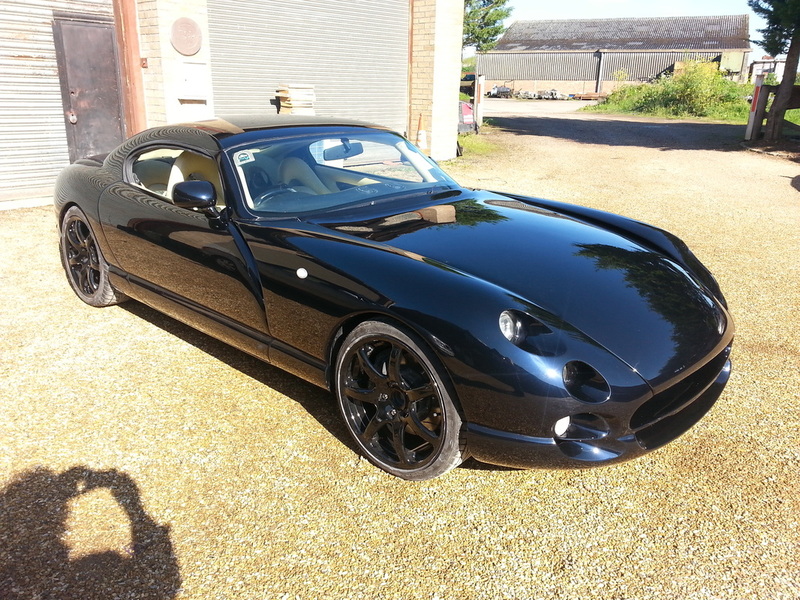 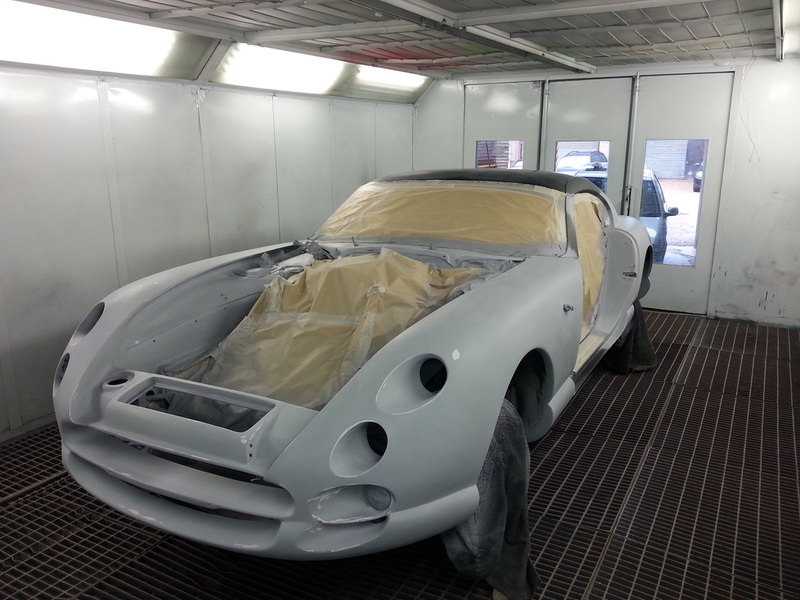 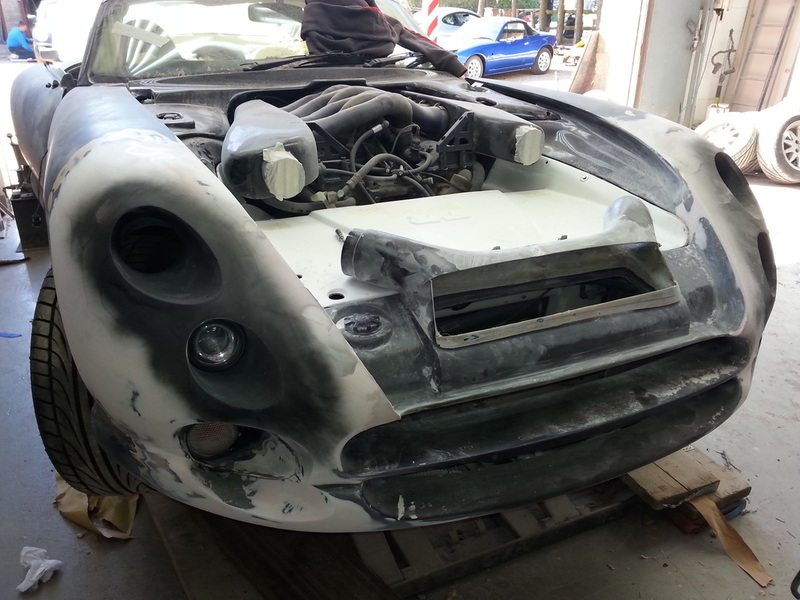 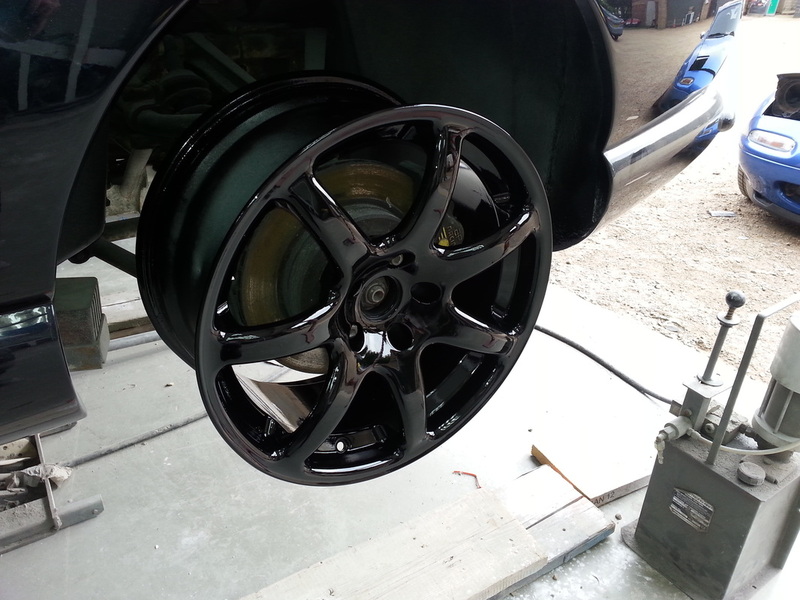 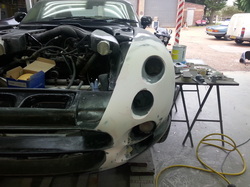 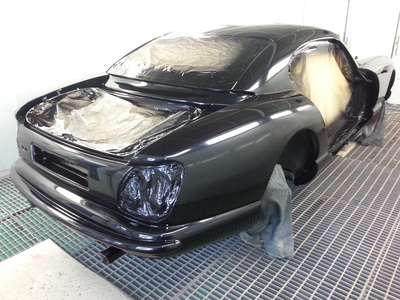 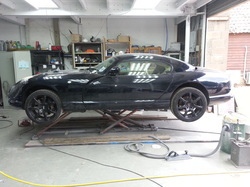 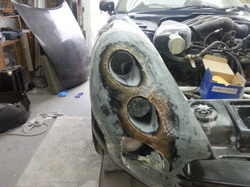 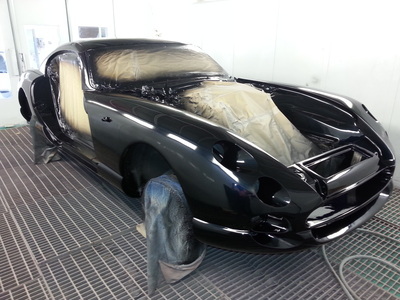 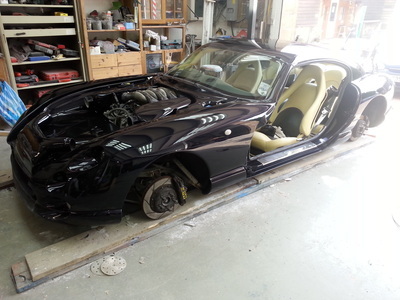 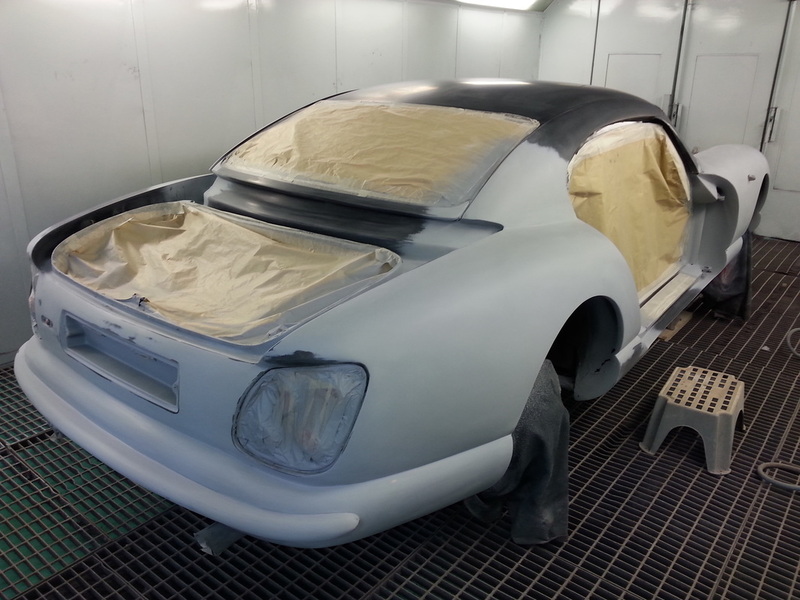 TVR Cerbera in for light-ectomy (if that's a word) and full respray. 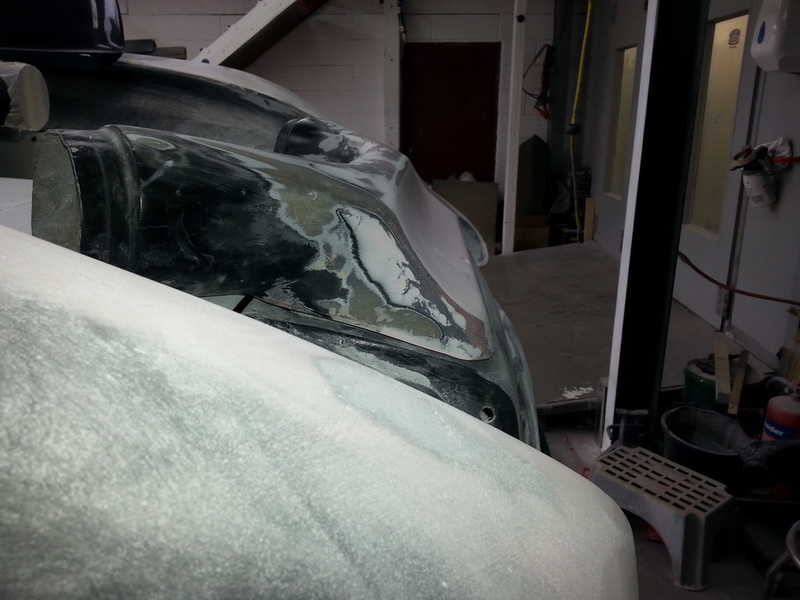 New front light panel fibre-glassed into place. 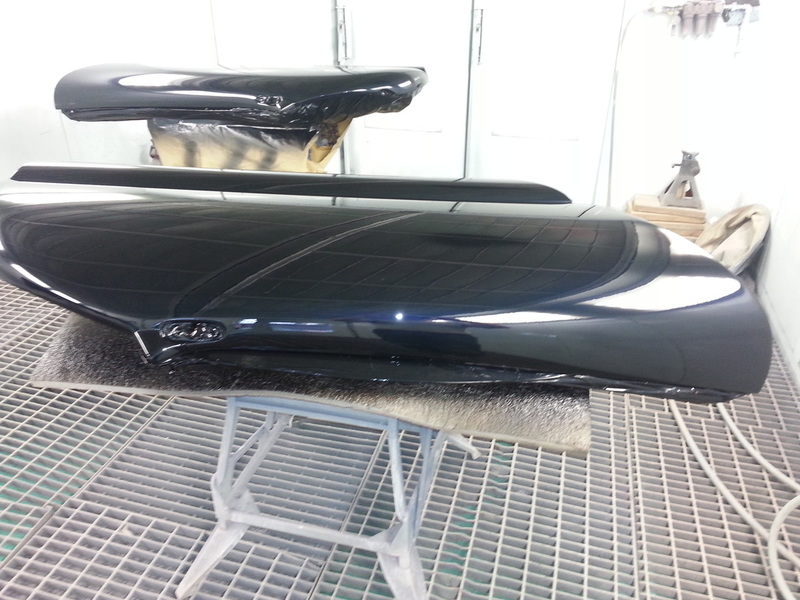 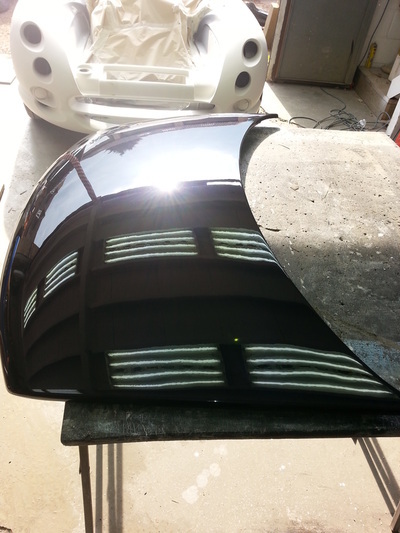 Polished and ready for delivery!